These days, it is common to see two graphics cards on laptops: Intel graphics and Nvidia. 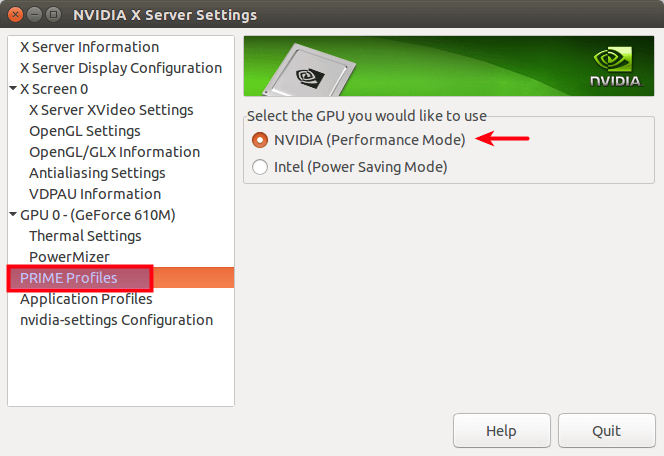 This tutorial will show you how to seamlessly switch between Intel and Nvidia graphics card on Ubuntu. For gaming and 3D charting that requires a lot of graphics power, use the discrete Nvidia card. If you are not interested in gaming or 3D charting, the integrated Intel graphics card, which is embedded in the CPU, is good enough and it consumes less energy than Nvidia card does, resulting in less energy consumption and longer battery hours. The first thing you need to do is to check what graphics card your laptop has. This is a very easy task on Ubuntu. Just paste the following command in the terminal window. As you can see, my laptop has Intel and Nvidia Graphics card. If this is also the case for you, then continue to read this article. Ubuntu uses Intel graphics by default. If you think you made some changes to this before and you don’t remember what graphics card is being used, then go to system settings > details, and you will see the graphics card being used right now. 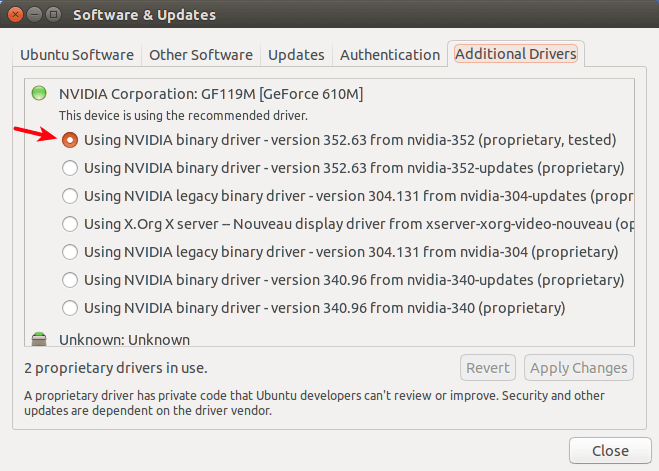 Ubuntu comes with the open source nouveau driver which is included in the Linux kernel for Nvidia cards. However, this driver lacks 3D acceleration support. For best graphics performance, we can use the software-properties-gtk program to install the proprietary driver. Enter the below command in the terminal window. This will open up the software & updates window. Click the Additional Drivers tab. You can see what driver is being used for Nvidia card (Nouveau by default) and a list of proprietary drivers. 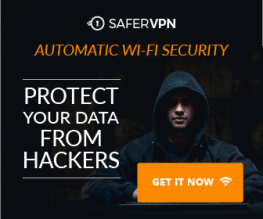 You can choose the highest version. You can also open up a new terminal window and enter the following command to see which binary driver is recommended for your specific card. As you can see, nvidia-352 is recommended for my Nvidia card, so I enter this command to install it. 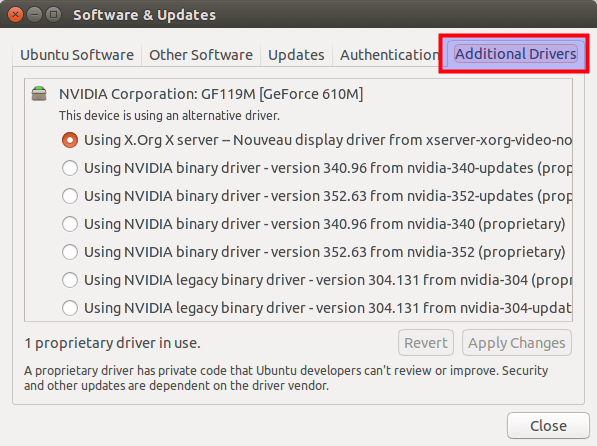 After the proprietary driver is installed, re-open software & updates window, you should see that the newly installed driver is being used for Nvidia card. If it’s not being used, select it and click the Apply Changes button at the bottom-right corner. Now we have installed the proprietary driver for Nvidia graphics but we still are using the Intel Graphics card. After you selected the proprietary driver for Nvidia, You may have to reboot your computer to enable PRIME support. If PRIME supported is not enabled, you might encounter the below message. Once rebooted, open Nvidia X Server Settings from Unity Dash. Alternatively, you can issue this command to open it. Click PRIME Profiles tab on the left pane, and then select Nvidia card on the right pane. If you don’t have PRIME Profiles, reboot your computer so PRIME can be enabled. Now go to System Settings > Details, you will see the Nvidia Graphics card. To switch back to Intel graphics, simply select Intel in PRIME Profiles. You can also use terminal commands to switch graphics card. For example, this command will switch to Intel graphics card. In these cases, you would want to uninstall Nvidia drivers completely which is quite simple to do. Just run the following command to remove all packages that start with nvidia in the package name. Hi, Caleb. After Nvidia proprietary driver is installed, you may have to reboot your computer to enable PRIME. I was stuck into the same login loop before. What I did is to boot into recovery mode and create a new user. This login loop and some other errors, like MariaDB login failure, are Ubuntu only. I don’t know why Canonical, the company behind Ubuntu, still can’t fix these errors. Everyone will not encounter these errors. I hope this won’t discourage you to try Linux. If you don’t like it, you can try other Linux distributions. That’s the suggestion I have for you and Linux beginners. The article are very good. But I my system don’t change to Nvidia Card. I folow every steps. Using terminal commands to switch graphics card may give you some hint on what’s wrong. Mine works like a charm. I think you should check out the system log to see what’s wrong. I have the same issue. The instructions at this link allows me to switch without problems now. This works for my current driver nvidia-384 as well. in the additional drivers tab, I have some weird virtual box stuff, can you please help me get Nvidia stuff? Great guideline indeed. Thanks for sharing. There is a problem with command ‘ lspci -k | grep -A 2 -i “VGA” ‘. In my case it doesn’t list NVidia controller because it is prefixed as “3D controller:” instead of “VGA controller:”. Thanks dude. Working on GeForce GT 540M. Quality content. Thanks for sharing. Successfully switched to Intel Graphics (ubuntu 18.04) since I don’t need to be constantly running on GTX 1050 in my daily use and the fan noise was starting to annoy me. After using the command ( lspci -k | grep -A 2 -i “VGA” ) as you told my terminal window doesn’t show any sign of Nvidia GPU but my laptop has a GeForce MX130 discreet GPU, what should I do? “Sometimes Nvidia drivers can fail and you get a blank desktop with no panel or launcher”. Nice, isn’t it? What to do if this happens?. How could you get back? You explained how to install the Nvidia drivers, but how about the intel ones? Is it good enough to have the ones provided by Canonical or should we try and install the Intel® Graphics Update Tool for Linux from 01.org? Do you think this tool could be compatible with the Nvidia drivers and the PRIME profiles? In a typical newer laptop there is a hybrid graphics setup in the bios. Here I can choose between 1: discrete graphics card. 2: enable hybrid graphics. 3: Auto. Do you know if such bios settings affect the manual switching between graphics cards as described here? What should the bios setting be?